When it has come time for a replacement convertible car top, a first thought will be what fabric to go with. Car lovers can argue for days whether a canvas or vinyl convertible top is the better choice for a vehicle; however, it seems that the decision between the two will actually be based less on the durability or longevity of the two top fabrics and more on personal taste. At the end of the day, a convertible will look great with either material you choose to replace it with, and you will still be able to enjoy the best part of the car: riding with the top down. The canvas convertible top will arguably win in the looks category because it more resembles the classic convertible look. Obviously this depends on the brand used, but the canvas convertible top still maintains that classy look that a lot of car owners are trying to achieve. The vinyl top looks great too, but can't offer that soft-top appearance of the canvas. For some car owners, a quiet ride is of utmost importance. This factor may go to canvas as well, because the wind won't bounce noisily off of it as it may with the vinyl top. However, since many riders will generally ride with the top down as often as possible, this may not be an issue. This can be a main factor when choosing what material is best for your car. The vinyl top is well known as easy to clean. Substances like tree sap or bird droppings, that will generally adhere deep into the canvas fabric, can easily be cleaned off the vinyl surface. Yet with proper maintenance, both tops can be kept looking at their best for many years. The price difference between the two can be upwards of $100, with the canvas having the higher price tag. This can be a main issue for some, but you may find yourself willing to pay the extra money if you feel the canvas is the right look for your car. The environment the car will be exposed to may end up being a deciding factor as well. If the car will be kept in a garage when not in use, then you will be able to keep a canvas top looking its best for a long time. This isn't an issue with the vinyl top, which can resist more of the wear and tear the outdoors throws at it. Obviously, the optimum situation for any convertible owner would be to live in a Southern Californian climate, which allows for top down riding all year round, and won't cause as much wear when the top is up. 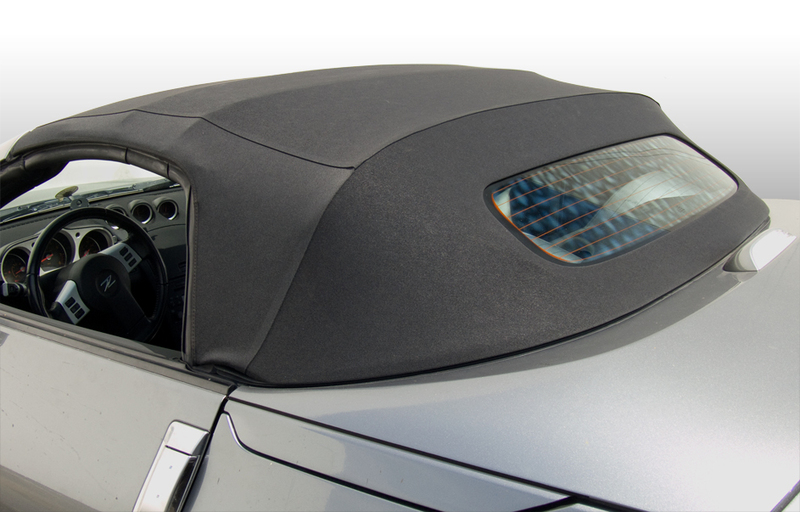 Clearly, regardless of which fabric is chosen for your replacement convertible top, you will be able to enjoy the benefits of your car for years to come. Your convertible top supplier specializes in replacement convertible tops and they can help you choose between quality vinyl or canvas tops. Good summary of the pros and cons of vinyl and canvas. Canvas=garaged vehicle and compulsive-maintenance owner, looks classier. Vinyl=normal humans, vehicle outside a lot and intermittent cleaning. About $100 more for cloth. Have you ever looked into the free car repair manuals vauxhall in online pages? They are just mind blowing, with price and service.